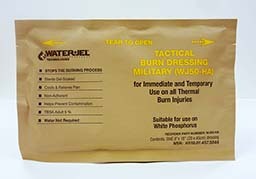 Water-Jel sterile gel-soaked 8"x18" tactical burn dressing for immediate use on burns. 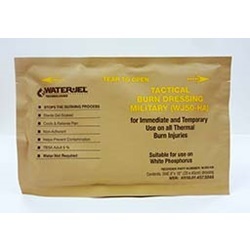 A larger burn dressing. Excellent for covering sizable areas, such as the thigh, shoulder or back.